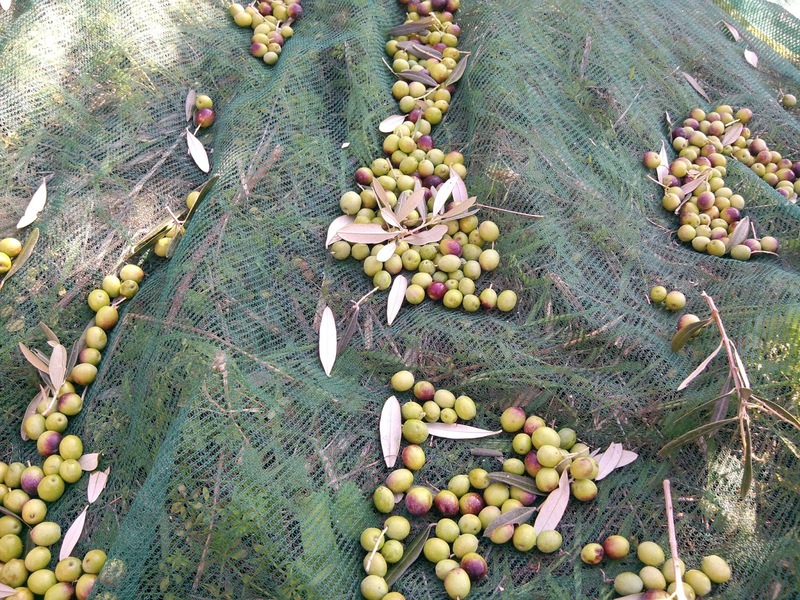 I wrote about the frantoi aperti before but being here in Umbria in fall means being immersed in olives, oil, catching nets, trees, rastrelli (rakes), coffins and more often than not you´ll see people in stained working clothes. There´s simply no way to avoid it. 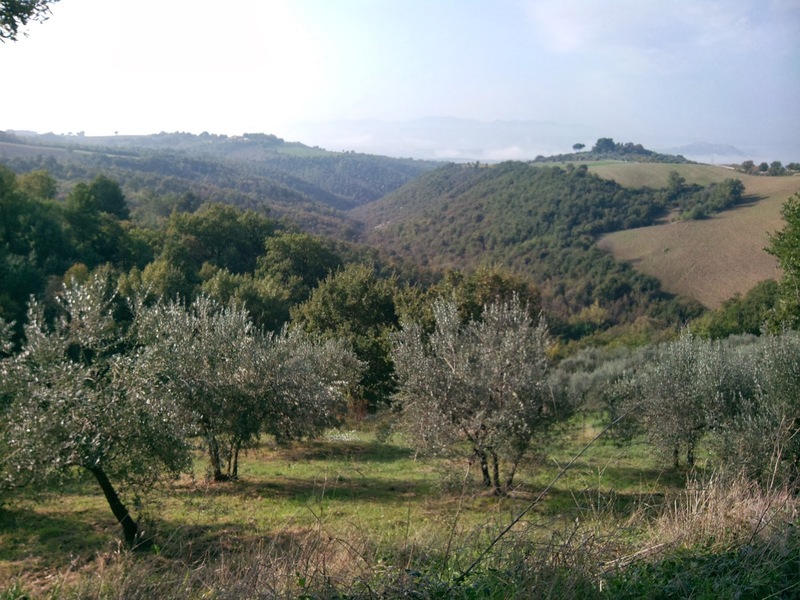 Almost every village has its frantoio, the mill, where the local famers have their olives pressed and while waiting, have a bruschetta from the fire to taste the olio novello. 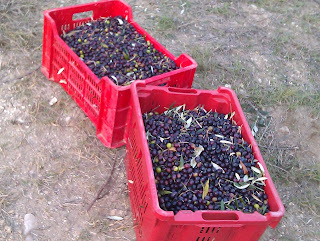 Once a year, to show the less fortunate how the process from growing olives to picking them and turn them into this liquid gold proceeds, the frantoi aperti (open mills) are organized. 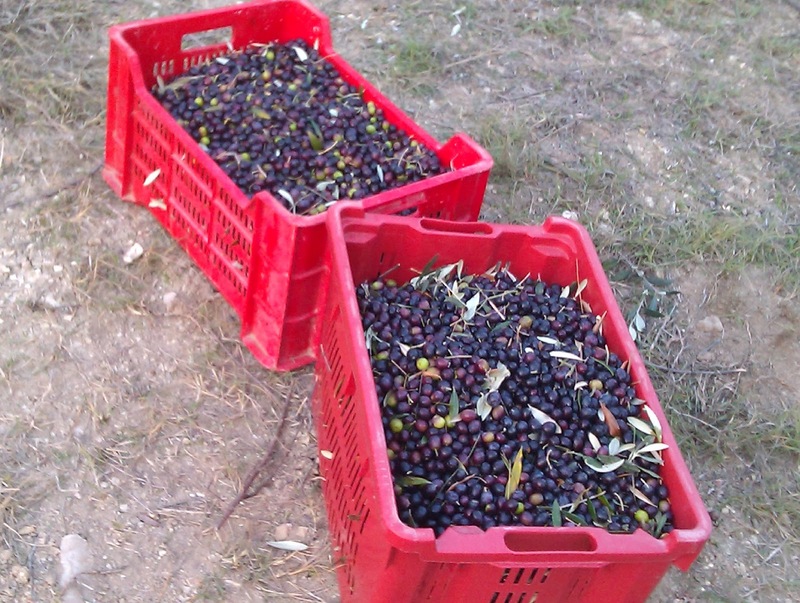 You can visit olive groves, see the inside of the mills, taste and buy the new oil and related products. The easiest way is to subscribe to an organized guided tour by bus and get a completely organized tour, but you can also make your own choice and pick one or two frantoi. For the last three years, I went to Trevi and visited the Frantoio Olio di Trevi, for they really know how to throw a party. Inside you can visit the factory, see and hear how the machines run and how the oil is canned or bottled. There´s also a video running to show you the whole aforementioned process and some impressive, ancient used tools can be admired. There´s a small trattoria to have a wine or a small dish at really acceptable prizes and think about the purchases you´ll make because the new oil is sold in the small shop in the front. 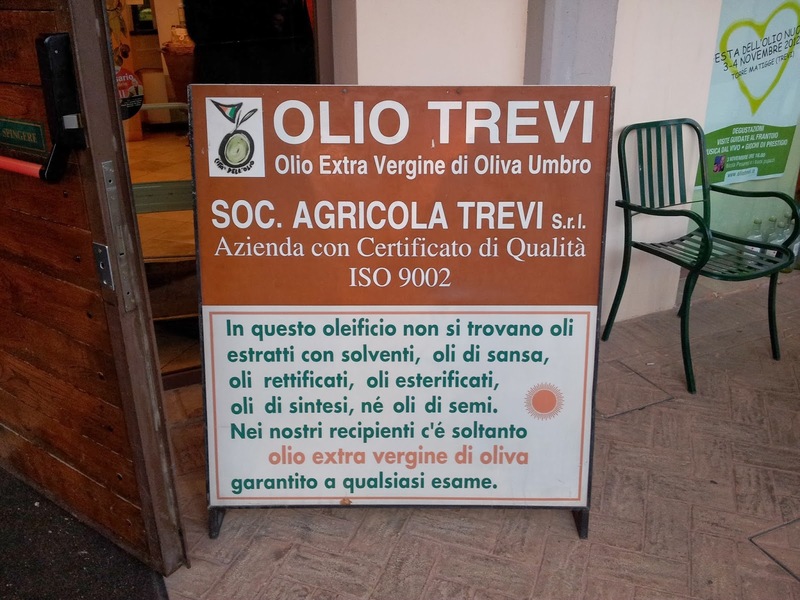 You can buy different types of oil, olio famiglia, filtered or not, seasoned oil, olio delicato, several products made with olive oil, you name it. I wrote about that before. Outside it´s always fun. I had a bruschetta again and admired the cheese and sausages that were sold. I talked to some people who also enjoyed the atmosphere and the music played by Alter Ego and had a lot to say about olives, but we agreed on one thing: this is EVOO* and it deserves all four capitals. When you have the opportunity: you can still go there today, or at least grab the chance next year. Like I said, there's simply no way to avoid it...... because this is what we do in Umbria. 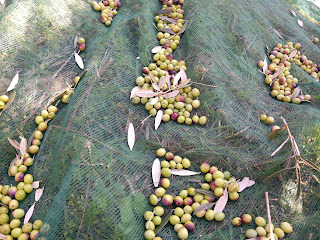 Frantoi aperti - olives and fun!